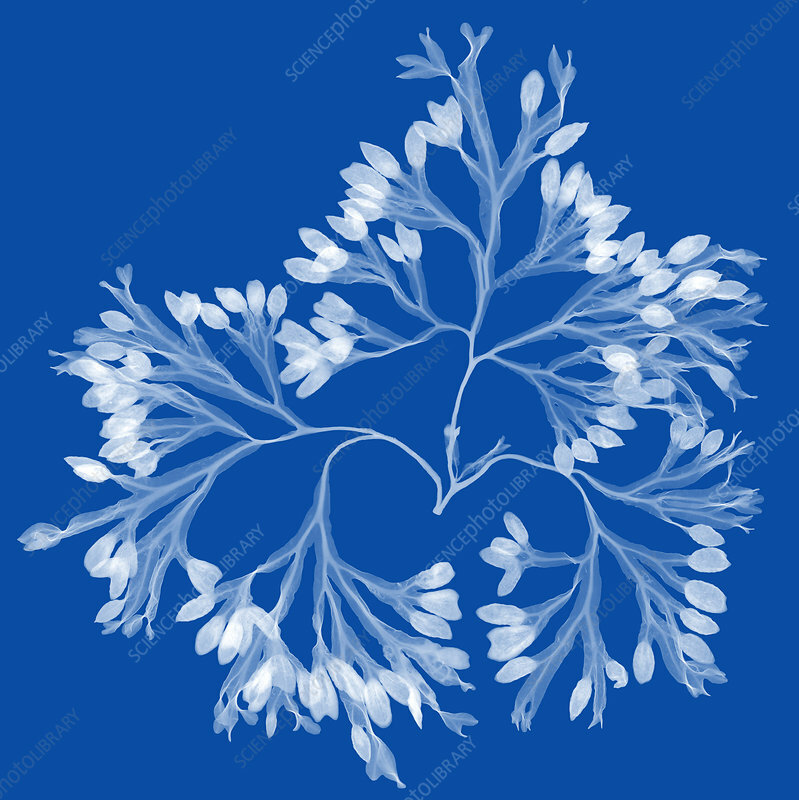 Colour-enhanced X-ray of rockweed seaweed (Ascophyllum nodosum). This specimen was collected on the shores of Block Island, Rhode Island in May of 2015. Ascophyllum nodosum is a large, common brown alga (Phaeophyceae) in the family Fucaceae, being the only species in the genus Ascophyllum. It is seaweed of the northern Atlantic Ocean, also known as rockweed, Norwegian kelp, knotted kelp, knotted wrack or egg wrack. It is common on the north-western coast of Europe and the north-eastern coast of North America.